The Rush Way defines the core value of leadership as those who are trustworthy, honest and sincere. Possessing honor and integrity, leaders serve others and make sacrifices that often go unnoticed. Leaders are willing to contribute hard work to their team and club. The Rush Core Value of Leadership is the core value highlight for the month of January. In the remaining days of the month, the importance of leadership at every level in the organization will be addressed. 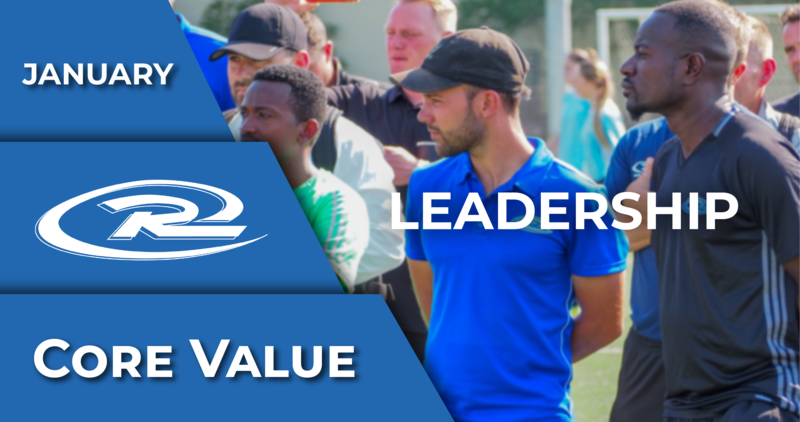 Whether a Rush employee is coaching and leading as a national technical director or working as a registrar or administrator at the local level, leadership reveals itself in a variety of forms. National Technical Director Arian Hoxha explained a key point in leadership structure: diversifying your leadership team. “Even the best leaders must not make the error of holding all the weight of an entity on their shoulders,” Hoxha said. As the month of January continues, leadership will continue to be highlighted tangibly within Rush Soccer.